With this deal, you’ll get a NEW engine air filter for only $28.87 with FREE INSTALLATION! 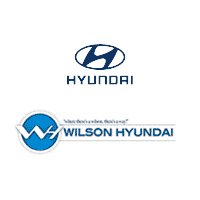 Protect your engine and schedule your appointment with Wilson Hyundai Service today! Cabin Air filter or Pollen Filter Now only $37.41 with FREE installation! The humans inside the vehicle need clean filtered air to breath just like your engine does right? Our factory trained technicians will replace you cabin air filter (also known as a pollen filter) free of charge. $37.41 is our SPECIAL price and includes FREE installation! Our factory trained technicians will change your oil with up to 5 quarts of semi-synthetic oil along with a new oil filter for just $44.95. Both Kia and Hyundai vehicles require a special oil filter which have a safety valve that makes sure that oil remains in the filter when the engine is turned off. So that when the engine is restarted, oil supply is promptly supplied to the engine resulting in less engine wear. We use OEM oil filters with all Kia and Hyundai vehicles in accordance with the manufacturers recommendation. "Diesels, Hybrids, Genesis, Lexus and German cars extra. COUPON NOT VALID WITH ANY OTHER OFFER. MUST PRESENT COUPON AT TIME OF PURCHASE. LIMIT ONE COUPON PER PERSON. COUPON DOES NOT APPLY TO PRIOR PURCHASES. NOT VALID ON ALL MAKES AND MODELS. SUBJECT TO INSPECTION. VOID WHERE PROHIBITED. 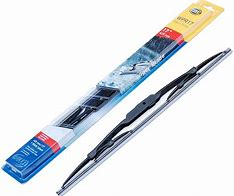 New Windshield Wiper Blades $19.95 with FREE installation. SUV’s with a third wiper are just $29.95 for 3 wipers. Get rid of the annoying scraping and screeching sounds of weather hardened rubber and see clearly on our rainy Mississippi days. Our factory trained technicians will install your new windshield wipers for FREE! Our factory trained technicians will replace your front disc brake pads and machine the rotors for only $199. You cannot put a price on safety so be sure your brakes are ready to stop your vehicle when you most need it. 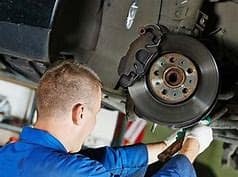 Our factory trained technicians will perform a free brake inspection and measure your pads to see how much pad life you have left. Waiting until you hear metal on metal is a foolish mistake that will cost you much more in extra parts. Brakes wear out and need to be replaced periodically. Use our easy online service appointment process. 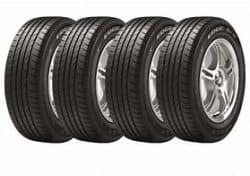 4 tires mounted and balanced for only $346 which includes mounting, balancing, sales tax and all fees. Use our easy online “tire store” to compare prices and sizes and set up an easy online appointment. You’ve heard the expression “where the rubber meets the road”? Well you need to make sure you have good rubber meeting the road for safety’s sake! We only charge $15 per tire to mount and balance your new tires and that fee is included in our $346 Tire Special. “Pothole Special” Free 4 Wheel Alignment check on our “state of the art” Hunter Alignment equipment. You will get a 4 color printout which will show the camber, toe and overall alignment specs. If your vehicle needs an alignment, our factory trained technicians will perform this for our SPECIAL PRICE of just $99. If you would also like to get all 4 tires balanced and rotated, our SERVICE SPECIAL is just $49.95!!! Use our easy online service appointment process.